From above screenshot’s we can quick find 2 major differences between the different products. 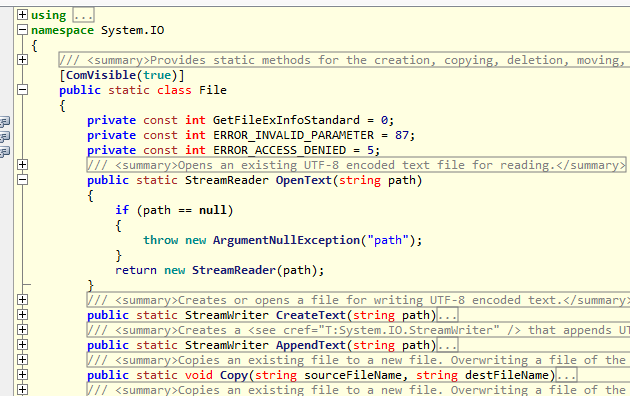 The visualization in .Net CodeReflect of the decompress file doesn’t contain implementation for methods. You need to click on every method name to see the implementation. 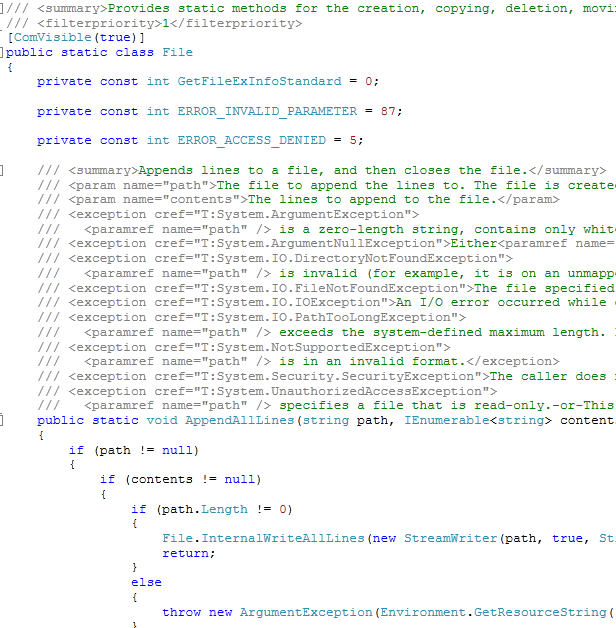 The other major difference is that JustDecompile sort all methods in alphabetic order. Both .NET CodeReflect, ILSpy and JustDecompile can decompile to VB, IL and C# compared to dotPeek that only have support for C#. JustDecompile and ILSspy are the only tool that support to save the decompiled code as a visual studio project with can be very useful in some cases. 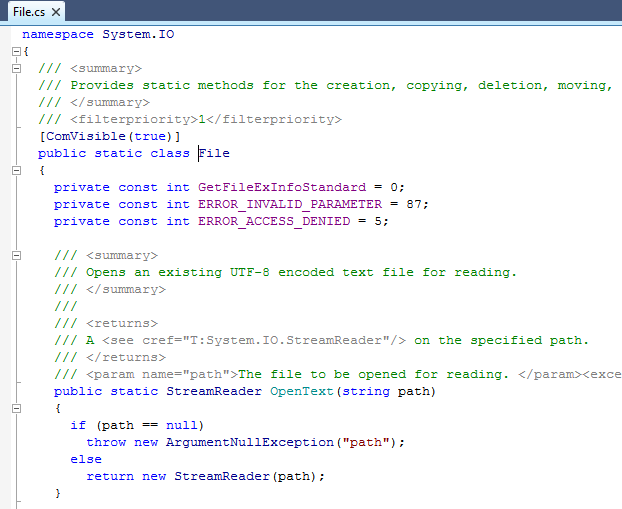 What i really like with dotPeek is that it use normal Visual Studio shortcuts as for example F12 to got to declaration. A cool feature in JustDecompile is the integration with windows explorer context menu. ILSpy is the only one that can’t extract embedded resources but is on the other hand the only open source tool. Both dotPeek and JustDecompile gives me a feature scope and good visualization. If you are going for simple but powerful decompiler and you can leave with only C# support I would recommend dotPeek. If you want that little extra as saving to Visual Studio project and windows explorer context menu integration, then JustDecompile is the product. The only drawback with JustDecompile is that you need to register to install it with I don’t like since I don’t know what they will use my personal information for. If you prefer open source and can leave without possibility to extract embedded resources ILSpy is your tool. I can’t really recommend .NET CodeReflect for any reasons when it’s compared to the other tools. I believe the Telerik JustDecompile are just lazy boys and should give up to share such tool generating codes that horrible. The most recent release of JustDecompile is faster and more correct than other .NET decompilers. Try the latest version, and if you still find a situation where JD is doing more poorly than another decompiler, let me know. I’ll work with the devs to fix it.